At The Kresge Foundation, being open to new ideas and new ways of doing things is essential to our underlying philosophy to expand opportunities for low-income people in America’s cities. When Sebastian S. Kresge established the foundation in 1924, it was with a basic mission: To promote human progress. More than 90 years later, interpreting this maxim remains the responsibility of my fellow trustees and the Kresge staff as we attempt to address the systemic urban issues that affect people living in the United States. That means embracing change — and being more strategic than ever in how we studiously manage the resources that have flourished out of our founder’s initial gift to the foundation. These words are still so true. The problems we confront today are not neatly rooted in a single set of causes. Our interventions accordingly must be multifaceted and interbraided. And we just cannot go it alone. There is no other person who would so skillfully lead the foundation’s approach to address this reality better than Rip Rapson, who, at press time, is marking his 10th year as Kresge’s president and CEO. Day by day, month to month, year after year, Rip has consistently impelled trustees and motivated staff to embrace a broader responsibility to lead. And 2015 was especially prolific, as the foundation charted a course to truly chip away at society’s most intractable problems by further aligning grants with our mission to expand opportunity; formalizing a social investing fund; institutionalizing a research, learning and evaluation practice; and doubling down on communication strategies. Program by program, staff assessed and embraced how they might expand pathways of opportunity for people living in our nation’s urban centers. They also committed themselves to work across disciplines in a unified, comprehensive approach rather than as a collection of programs pursuing separate goals. The foundation’s latest commitment to social investments is a prime example of Rip’s determination to further explore the chemistry of philanthropic resources with those of financial, government and community partners. At his urging, the Board of Trustees enthusiastically approved an ambitious plan to invest $350 million through Kresge’s Social Investment Practice by 2020. That commitment comes with a goal to attract an additional $1 billion from other investors, and we have no doubt it will be achieved. Such monumental outward shifts demanded internal muscle building as well. The staff has become deeply conversant in the lexicon and practices of finance. And through testing the edges of risk and the complexities of working across sectors, every program has now taken part in a social investment project, many of which are highlighted in this annual report. Over the past year, a new director of strategic learning, research and evaluation was appointed to help our program and social investment teams draw lessons and share learnings within and beyond the foundation to continually assess effectiveness. And through a unified and expanded voice, the foundation is attempting to influence legislative policy, convene and work with a wide range of partners to solve problems that limit — and scale solutions that expand — opportunity. You don’t achieve that without changing your mindset. The Kresge Foundation has — and, I assure you, it’s just the beginning. Private philanthropy has continually struggled to balance the impulse toward reflection with the realization that what’s happening on the ground requires bold action and direct engagement. That balancing is necessary and appropriate. Without thinking long term, there is little integrative problem solving. But not heeding the drumbeat of today’s urgency brings overly tentative leadership and risk aversion. Generalizations are dangerous, but it is safe to say that during the last decade, philanthropy has moved toward the less certain waters of direct engagement with the challenging problems that have come to define the 21st century: from the existential threats of climate change to the unforgivable immorality of gaping income disparities; from stagnant college access and completion rates to the collapse of robust civil discourse. For The Kresge Foundation and many of our colleagues, a growing refusal to play it safe and small has fueled a new calibration toward taking risks equal to the magnitude of those challenges. Such a posture is possible only when we extract the full advantage of each and every tool in the philanthropic toolbox. The Kresge Foundation I joined in 2006 was defined by one tool: the capital challenge grant, which helped nonprofits complete capital campaigns for building projects. We believed that the inflection point of a bricks and mortar campaign would not only contribute to getting a building project across the finish line, but could also serve as leverage to precipitate higher levels of individual giving that would enhance an institution’s long-term stability and capacity. With our help, thousands of organizations did exactly that. It’s a legacy we remain proud of to this day. Along the way, we honed our discernment of those who could absorb and deploy capital most effectively. We cast broadly across a wide spectrum of disciplines — health, education, the environment, arts and culture, human services, community development. As it turns out, that was valuable intellectual muscle. Because in 2006, the Kresge Board of Trustees began a concerted journey beyond the fence line of its historic approaches. We couldn’t simply abandon precipitously what had served the nonprofit community so well; instead, we had to pace our change by shedding old beliefs and behaviors as more suitable ones emerged to take their place. That took a number of forms. We moved away from a reliance on fundraising prowess, instead emphasizing projects that fit our new values. We increasingly shed our agnosticism about the mission of the institution seeking our support, and gravitated toward organizations wrestling with the most pressing, gnarly issues of their field — improving postsecondary education access and success among low-income students, building greater resilience among multiservice human service organizations, attacking health disparities, adapting to the disproportionate effects of climate change on vulnerable communities, integrating the role of arts more fully into community revitalization. We explored how we might braid all of our interest areas into a mutually reinforcing set of strategies to help bring Detroit back from the precipice of economic, social and political collapse. Different forms of grantmaking offered a variety of entry points for attacking these challenges. Grants could buttress each organization’s particular efforts, to be sure. But they could also strengthen networks of these entities, allied in common purpose. They could build a knowledge base of applied research. They could enable grantees to construct information-sharing platforms — through convenings, leadership exchanges or joint databases. They could support public policy advocacy, creating both membranes of cooperation with other sectors and mechanisms of constructive disruption where necessary. The diversification of our grant portfolio led to the exploration of whether other forms of capital could further build our efficacy and that of our partners on the ground. During those years of strategic honing and staff growth, we began to stretch our capital-support spectrum to explore the still-emerging field of “social investments,” which includes low-interest loans, guarantees, equity investments, pay-for-success instruments and market-rate investments. Learning from experienced foundations already using these investment tools — MacArthur, Casey and Herron among them — we began modestly with a suite of 14 three-year, low-interest loans during the Great Recession to help nonprofits bridge to more stable economic times. It wasn’t long before we brought Kimberlee Cornett, a supremely gifted director, on to lead our Social Investment Practice. She immediately waded into more complex deals, drawing in different kinds of capital in concert with multiple partners. As our portfolio grew, it became apparent that social investments could penetrate a problem set in ways that grants alone could not. Social investments could make larger amounts of capital available and extend that capital out over a longer term. They could peel away the top layer of risk in a transaction, creating a pathway for market-rate capital to enter a deal. They could create closer adjacencies with investors beyond our conventional networks. They could provide a vehicle to help mitigate risk to catalyze investment from other investors. They could encourage nonprofit organizations to think more creatively and ambitiously about how capital could help them expand or transform. They would enable Kresge to recapture some of our funds to recycle into future efforts. As with grants, our social investments took a variety of forms. And just as grants alone couldn’t always crack the code, neither could social investments. We quickly realized that we could mix and match our tools, asking first what aspect of a problem we sought to address, and then what forms and configurations of capital would be most effective in responding to it. A grant might help an organization stabilize a part of its operations — essential to take on debt. A guarantee might be the one missing piece in another transaction. A loan paired with a grant might be the right fit for still another deal. The problem-first and tools-to-suit approach was the strategic dimension. How to make it operational within Kresge was another challenge. And so we built the Social Investment Practice on a cascading set of principles. First, we agreed from the outset that our social investments must reinforce our program strategies; the practice couldn’t be about using next-generation tools without regard to programmatic alignment. Second, and in a related vein, our program and Social Investment staff had to work hand in glove to identify and pursue investments that formed integrated portfolios for each of our six programs. That meant program staff had to become increasingly conversant in the language and needs of private and public finance systems. Kimberlee and her staff have cultivated that culture carefully over the past six years through team trainings, one-on-one coaching, advice on new hires and the experiences of collaborative deal formation. It also meant that Kimberlee had to build out a Social Investment staff capable of developing sufficient topical expertise to be willing and competent partners with our program teams. Third, we needed to prevent the possibility that our programs would fall into a default position of relying exclusively on grants. We initially placed our Social Investment budget — 10 percent of our grant budget for cash investments and 10 percent for guarantees — on top of the grant budget, effectively creating the possibility that a program team could simply fill its portfolio with grant investments and ignore the Social Investment Practice. Fortunately, the teams didn’t take this posture. In fact, they rushed the door, working together to cement some 30 deals within a span of five years. Fourth, we needed to forge back-office machinery that applied the expertise of our Finance and Investment staffs to track repayments and compliance with deal terms, develop due diligence and documentation practices to satisfy auditors and handle a host of other complexities. This process required a number of workarounds and rewiring of existing foundation procedures. The result? An increasingly seamless and integrated system that allows us to successfully make and manage investments. In September 2015, Kresge’s Board of Trustees acknowledged the centrality of the Social Investment Practice to the foundation’s identity by committing a dedicated pool of $350 million for social investments. Some $100 million of those funds have already been committed, with the remainder to be invested by 2020. Tied to it is a goal to leverage at least $1 billion from other investors. Our entire staff is prepared for the challenge. As you read this 2015 Annual Report, you’ll see story after story of neighborhoods revitalized, gaps filled, lives changed. Some initiatives are works in progress. Others are shining successes and demonstrate the good that can result from thinking outside the box and putting all of the tools at our disposal to work. Bringing leaders together in person to exchange knowledge and lessons learned leads to better alignment, a stronger field and faster results. With the right people in a room, problems can be dissected, collaborations can form and solutions can be discovered. The challenges and opportunities for economic revitalization have changed immensely in the past decade with constraints on public funding, reconfigurations of markets, the rise of entrepreneurial impulses and a heightened awareness of the need to embrace solutions that provide urban residents with the opportunity to join the economic mainstream. Too often, those exploring solutions to these problems in the public, private, nonprofit and philanthropic sectors are working in parallel. The foundation sits in a unique position to set the stage for these allies to break out of their silos and work together. We use our capital and convening capability to develop fields and enhance the sectors in which we work. We identify complex issues and convene actors needed to resolve them. Advancing fields can only be done in partnership with nonprofits, government, academia, business and other sector specialists. Grants are essential to advancing our work. The foundation awards hundreds of grants each year through our six program teams and our Social Investment and American Cities practices to nonprofit organizations with strong track records of impact. In 2015, Kresge awarded 370 grants totaling more than $125 million. Through our work with partners in the field, the foundation attempts to capture what works to improve social outcomes. We compile and share those lessons in multiple ways — through funding research, disseminating data, conducting rigorous evaluation and supporting strategic communications — to spread that knowledge. The problems that limit opportunity for low-income people are systemic; changing policies that dictate those systems must be part of any long-lasting solutions. The foundation can advocate for the types of policy changes that will help advance our mission by funding research, backing education campaigns and supporting organizations that are doing grassroots organizing and outreach. Debt (also Loans): Funds provided to an organization that are expected to be paid back to the lender within a set period of time, plus interest. Equity Investments: Cash invested in exchange for shares of stock in a business. Returns typically involve a share of the business’ profits; investment cash is typically recovered when the investor sells the stock shares back to other owners or new investors. Deposits: Cash investments in community-based financial institutions, credit unions or regional banks offer alternative secured financing, which increases access to capital for low-income borrowers and businesses. Guarantees: A promise made by the foundation to assume a debt obligation of a borrower organization if the organization is unable to repay the loan. By providing leadership development training and other operational or management assistance, Kresge leverages collective insight and resources to help enhance the effectiveness of nonprofits. On her 100th birthday, Fanny Dotson walked into Hope Credit Union and opened her very first bank account. For Dotson — and The Kresge Foundation — it was a milestone to celebrate. Dotson had lived an entire century in the Mississippi Delta without ever having a relationship with a bank, therefore missing out on basic wealth-building opportunities many Americans take for granted. Today, she’s among 30,000 members of Hope Credit Union, thanks in part to The Kresge Foundation’s Social Investment Practice. The Social Investment Practice works alongside Kresge’s program teams to use funding tools that offer both financial and social return to help the foundation create opportunities for low-income people in America’s cities. Through social investing, Kresge makes bold, nontraditional investments and leverages its capital in ways that encourage other investors — financial institutions, fellow philanthropists, the public sector and other nonprofits — to fund projects that drive social change. The deals are often complex and include many moving parts, multiple players with varying interests and goals and financing elements that can include low-interest loans, tax credits, equity investments, social impact bonds and more. The deals can take a long time to cross the finish line, and they require a different set of skills than what many foundations cultivate. But according to Kimberlee Cornett, Kresge’s Social Investment Practice managing director, these investing tools are fueling a revolution in how philanthropy thinks and behaves. “Almost every big social problem needs a better strategy to achieve long-term change,” Cornett says. “Homelessness, poverty, a broken education system — these complex social problems are unlikely to be solved with grants alone. Through social investing, we’re finding ways to complement grantmaking and play an influential role in driving needed capital to underserved populations. The foundation’s social investing approach began with a few simple loans in 2008. It was bolstered when Cornett was hired in 2010 to head the practice. Over the next five years, little by little, a social investing culture began to spread through the foundation. Staff were familiar and comfortable pursuing the foundation’s mission through the traditional tools that remain imperative to how Kresge works — from traditional grantmaking to convening, policy work, advocacy and bringing sectors together at one table. 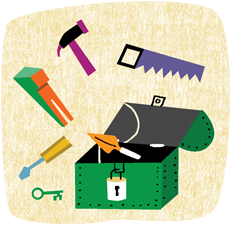 Adding social investing tools to the toolbox required an internal shift and new understanding for program teams to envision how loans, guarantees and other financial instruments might support their grantees and work in tandem with grants. Fast forward to today, and the foundation has made social investments in all of its programs: Arts & Culture, Detroit, Education, Environment, Health and Human Services. The practice got a big boost in 2015, when the foundation’s Board of Trustees approved a $350 million pool for social investments, a commitment that represents about 10 percent of the foundation’s endowment. The board’s mandate: Put the resources to work by 2020 and leverage $1 billion from other investors. “By defining this funding pool, we are extending our hand to for-profit and nonprofit partners alike and are asking them to join us on the front lines to use more innovative approaches to this work,” says Kresge President and CEO Rip Rapson. Kresge approved nine new social investments in 2015, adding to more than 35 active projects so far. Together, those investments have spurred more than $113.5 million from other investors. Kim Dempsey, Kresge’s deputy director of social investments, has a big vision for the possibilities: new models, thought leadership, heightened risk-taking and increased creativity in how Kresge impacts communities. Kresge Foundation Social Investment Officer Aaron Seybert says money normally flows along well-worn pathways in the world of finance. Through its work, Kresge aims to carve new grooves in the landscape, funneling the stream of capital toward those who need it most. In the case of Hope Credit Union, which is headquartered in Jackson, Miss., and serves 55 counties and parishes in the mid-South, Kresge pledged a 10-year, low-interest loan of up to $3 million, provided that Hope matches the funds with $1.5 million in secondary capital. Ed Sivak, executive vice president for policy and communications at Hope Enterprise Corp., says social investment funding ultimately finds its way to residents who don’t have a bank account or who have little savings. Dotson is one of the many examples that stand out. Hope’s ultimate goal is to break the cycle of persistent poverty throughout the region by providing checking and savings accounts, along with low-interest car loans and mortgages, to people other banks deem too high-risk. Sivak tells of loaning a young woman $1,000 for uniforms and equipment to pursue her dream of becoming an Arkansas state trooper; helping a man purchase his first home so he could care for his granddaughters; and working with a young entrepreneur to expand his pest control business. Such seemingly small investments have a big impact on the community, Sivak says. On the East Coast, Kresge is helping Boston, Mass.-area families avoid foreclosure and stay in their homes. Among them is the Robles family, with three generations under one roof. The Robles were already locked into a high-interest mortgage they could barely afford when they encountered unexpected medical costs as their daughter went through a difficult pregnancy. 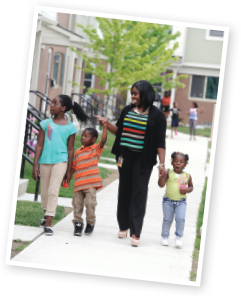 When they fell behind on their payments, Stabilizing Urban Neighborhoods (SUN) Mortgage stepped in to help. Now funded in part by a $2.5 million Kresge social investment, the subsidiary of community development financial institution Boston Community Capital (BCC) was formed in 2009 to help families facing eviction. According to Jessica Brooks, senior vice president of development and communications for SUN Mortgage, BCC had made great strides over 30 years creating communities for low-income residents to find access to good schools, groceries, greenspace and health care services. Then the foreclosure crisis hit in 2010. “When the housing bubble burst, we saw a bunch of the gains that we and our partners in the community fought so hard for being eroded,” Brooks says. SUN studied the problem and found that many families — like the Robles — were one paycheck away from losing control of their mortgage. Divorce, family illness or a flat tire could ultimately lead to another abandoned home. An innovative solution that would allow at-risk homeowners to avoid foreclosure and remortgage in a unique way was needed. That’s where SUN comes in. In this way, residents are no longer underwater, and they obtain traditional 30-year mortgages in line with their income. The loans come with a built-in safety net in the form of a capital reserve savings account. With help from SUN, the Robles were able to stabilize their growing family and reduce their mortgage payments by 63 percent. Of the 480 mortgages SUN has restructured, delinquency rates are low and defaults are at 7 percent — much lower than the 52 percent average in federal home loan modification programs. Brooks credits Kresge with encouraging SUN to think outside the box in order to make the most impact. Kresge can afford to take the long view when it comes to its work, Cornett says. While some grant relationships end after only one year, social investing relationships can span up to a decade or more and sometimes include social or financial benchmarks that must be met along the way. Take the Strong Families Fund (SFF), a joint pay-for-success effort by Kresge and the Robert Wood Johnson Foundation that provides capital to developers of affordable housing who intend to provide wraparound social services as part of their projects. The 10-year pilot aims to show how capital can be used to pay for services that contribute to housing stability and family well-being. SFF is expected to finance up to seven low-income housing projects that will offer up to 700 units in all. What’s different about SFF is that developers of its projects hire a social services coordinator to be on-site and provide support to residents in areas that include health and wellness, housing stability and education. Each coordinator builds relationships with residents and becomes the go-to contact when families need help. Data will also be collected to assess the long-term impact of having such support available. “The idea is that this is an individual who’s trained in engaging residents in housing and has access to services within the community,” says Deborah De Santis, president and CEO of the Corporation for Supportive Housing, which oversees SFF. “Incentives are built into the financing structure. If developers hit certain benchmarks, then they will receive performance payments. Kresge has committed a total of $6 million to SFF, including its Human Services team authorizing $1.25 million in grant funding and the rest coming from the Social Investment Practice. In total, Kresge and partners including other philanthropic organizations and banks have pledged more than $70 million to the initiative. Deborah Strong Housing in Ypsilanti, Mich., is the first project to receive funding through SFF. Renovations of its 112 units are in progress. Another social investment-funded project is bringing health care into low-income residential developments in Colorado. Colorado Coalition for the Homeless (CCH), also a grantee of Kresge’s Human Services team, used a low-interest loan to help build 300 housing units for homeless people in the Denver area. The recently completed Stout Street Lofts, with 78 apartments on its upper floors and a health care clinic below, is among them. The development was fully leased in five weeks and has maintained full occupancy since. While residents move in directly from the streets, housing isn’t their only concern. Many also face serious physical and mental health issues. “One gentleman lost both legs to frostbite living on the streets in a wheelchair,” says John Parvensky, CCH president. Another resident suffers from diabetes as well as mental health issues that make it challenging for her to keep on top of her health. 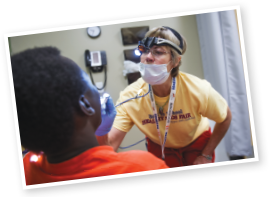 The integrated approach not only breaks down the barriers to access, but also improves the lives of residents as well as others in the neighborhood who are welcome to use the on-site clinic, pharmacy, dentists, optometrists and counselors. Parvensky is convinced the integrated model is on the leading edge of health care reform, and he credits Kresge with having the vision to help make it happen. “Kresge provided us with working capital that allowed us to take some risks and do something we wouldn’t otherwise do,” Parvensky says. “Training staff, equipping a health center and planning an integrated model might have taken much longer to achieve. Results are encouraging so far. Of the nearly 10,300 patients served by the Stout Street Health Center, 50 percent expressed a significant decrease in depression symptoms, and 45 percent experienced an improvement in overall health. Nearly 89 percent of families and 88 percent of individuals have kept their apartments for a minimum of two years. Kresge will forgive some or all of the interest if CCH is able to meet agreed-upon social and health outcomes. “The focus on measuring the outcomes and providing the incentives to make sure those outcomes are achieved, I think, are the hallmarks of the social investment approach,” Parvensky says. One important role social investments can play is providing proof of concept. When trying new approaches or untested models, things don’t always go exactly to plan. If data show that projects aren’t working or need to change course, social investors like The Kresge Foundation have the temperament to work through those issues. Roca illustrates that. The Massachusetts-based organization works to help young women and men get off the streets, stay out of jail, obtain good jobs and create a better future for themselves. Kresge partnered with a number of organizations to award Roca a $1.3 million, seven-year social impact bond. In the social impact bond model, the private sector partners with the public and philanthropic sector to fund critical prevention-focused social programs that address complex, intractable problems. Investors are repaid only if they can prove desired social outcomes are achieved. If benchmarks are met, the state of Massachusetts will pay back the loan with money saved from building jail cells and housing inmates. Meeting those benchmarks isn’t easy. Roca is working with an extremely challenged population — mostly men, ages 17 to 24, who have served time for felonies and have very little education or employment history. They are often involved with violent gangs and drugs. When program leaders weren’t meeting targets for referrals for getting men into their building, the project faced a critical moment. The project funders, including Kresge, restructured the financial elements of the deal to give Roca more time to meet its referral targets. The partners also empowered Roca to change its approach as needed to best reach the desired outcome. That meant going out in the community — on street corners, at local hangouts, wherever Roca could track down its target population. Elkins says such relentless outreach is often the only way to help — and ultimately reduce recidivism and turn the men into productive members of society. 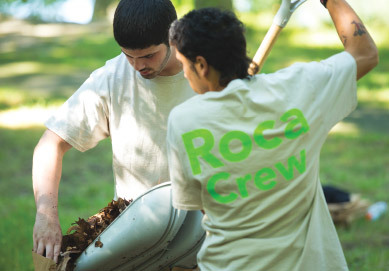 Ultimately, Roca spends two years with each individual, providing substance abuse counseling, life skills education, GED resources, job readiness training and court compliance assistance. But through Roca, backed by creative financing, they are doing just that. Revitalizing America’s urban communities takes grit, persistence, imagination and a willingness to apply innovative combinations of tools to help unlock the potential of people in disenfranchised neighborhoods. 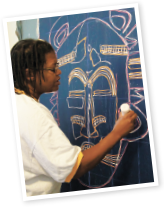 Throughout the country, Kresge’s Arts & Culture Program is pioneering new models of embedded creative placemaking — integrating arts and culture as an essential component of comprehensive community development — in low-income communities. The support we provide our partners to carry out this work has aided many places where art, expression and creativity create a synergy with traditional community development tools to help energize neighborhoods. In 2015, we expanded our toolkit through a unique partnership with Kresge’s Social Investment Practice to help unlock alternate forms of capital for creative placemaking projects in New Jersey. Support for the New Jersey Community Capital’s (NJCC) $12 million revolving loan, Creative Placemaking Fund, will enhance technical assistance services to arts and creative businesses. The Arts & Culture Program awarded NJCC a $300,000 grant as a complementary investment to a $2.5 million program-related investment (PRI) from Kresge’s Social Investment Practice. It is our program’s first combined grant and PRI. The goal: Stimulate economic investments in the character, diversity, art, culture and livability of low-income communities in New Jersey. 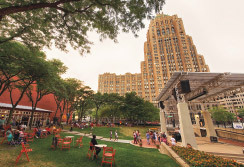 Projects in the NJCC’s Creative Placemaking Fund pipeline will range from large-scale cultural districts — which include mixed-income artist residences, education centers, nonprofit arts organizations and arts-based small businesses — to individual anchor enterprises such as community theaters, outdoor spaces for performances and creative production and learning spaces for music and visual arts. We are particularly excited because the NJCC’s pipeline has the potential to include a number of existing Kresge grantees, providing tremendous learning opportunities moving forward. With our Social Investment team, we look forward to evaluating and sharing what we learn from the new venture and using it to inform and refine our work and that of our grantees. We continue to remain on the lookout for opportunities to collaborate in unique partnerships — internally and externally — that will unlock and unleash the creativity that catalyzes community building and a better quality of life in our great American cities. Creative Placemaking in Camden, N.J. Located across from Philadelphia on the Delaware River, and surrounded on three sides by water, Camden, N.J., was once a thriving industrial hub. After the factories that dotted the waterfront began to close in the 1950s and in subsequent decades, vacant and contaminated lands remained. In 1984, the owners of those properties came together to form what would become the Cooper’s Ferry Partnership. The goal? To find new purpose for abandoned and underutilized property. “We’ve come a long way,” says Meishka Mitchell, vice president of Neighborhood Initiatives at Cooper’s Ferry. “Today we have about 3 million visitors per year on the downtown waterfront, which now has an aquarium, concert venue and other cultural attractions. Cooper’s Ferry is all about making Camden into a place people want to live, work, visit and invest. The Kresge Foundation’s Arts & Culture team is supporting this ambitious work. In 2015, the Arts & Culture Program allocated just more than $18.5 million to 69 organizations for projects that illustrate how creative placemaking can help reknit a fractured social fabric. “Most community development projects don’t include arts and culture,” says Regina Smith, managing director of Kresge’s Arts & Culture Program. “Our belief is that by including arts and culture, there is an opportunity to lift up a distinctive narrative about a place that residents will both own and tell. When they are provided meaningful opportunities to engage, the community benefits, she says. In identifying grant applicants that merit support, the Arts & Culture team looks for projects and organizations that engage in cross-disciplinary and cross-sector approaches, exhibit strong leadership, empower residents, benefit all stakeholders — particularly low-income residents — and have distinctiveness of place. For example, Kresge awarded the city of Fargo, N.D., a three-year, $900,000 grant to transform large stormwater basins into public common areas. While the basins continue to function for drainage collection, the transformed spaces will help to connect and engage the city’s artists and residents. The unrelenting efforts of Cooper’s Ferry to build a healthy and strong community through the integration of arts and culture parallel the goals of Kresge’s Arts & Culture team. At just 9 square miles, the city is home to some 77,000 residents who Mitchell describes as resilient, spirited and sharing great love for their community. Many of Camden’s low-income neighborhoods border shuttered factories. There are 114 known contaminated sites and two federal Superfund sites in the area, according to the Environmental Protection Agency. Poor air quality has contributed to high rates of asthma and other respiratory problems among residents. There is also grave concern over stormwater management. Much like many older industrial centers, the city has a combined sewer system; when t rains, runoff and sewage mix. And when capacity is reached — often after just one inch of rain — sewer backups and overflows occur in homes, parks and streets. When the team at Cooper’s Ferry spoke with residents regarding concerns in their neighborhoods, the sewage backups emerged as a pressing issue. That resulted in the Stormwater Management and Resource Training Initiative. Through infrastructure improvements, the initiative helps mitigate those problems. Among the projects: capturing rain before it hits the sewer system to help keep water and sewage from overwhelming storm sewers. Cooper’s Ferry has also invested in parks as a way to engage the community on multiple levels. Still, residents were staying away. From that grew the Connect the Lots program. With a two-year, $1.1 million grant from Kresge awarded in 2013, Cooper’s Ferry revitalized vacant spaces within the community through the lens of creative placemaking. These empty lands became the center of structured activities like free yoga classes, a skateboard park, an afternoon concert series, community dinners — even a musical theater workshop for the city’s youth. “When we were doing the Connect the Lots initiative and talking to residents about how they wanted their parks programmed and what activities they wanted to see in their vacant spaces, among the things that were mentioned included active living, active lifestyle, healthy initiatives and free fitness classes,” Mitchell says. That’s what appealed to The Kresge Foundation. Until recently, the city had no gym or other spaces designated for exercise. High childhood obesity rates and sparse access to fresh food were among related challenges. In response, in 2015 Kresge awarded a new, $900,000 grant over three years to support the new Camden Healthy Places Initiative. With the success of the Connect the Lots program and establishment of a platform for community engagement through arts and culture, Cooper’s Ferry proved its ability to seamlessly blend sectors. “This is a strategic opportunity for Cooper’s Ferry to bring its experience and expertise to bear in integrating arts and culture into a broader, comprehensive community framework that includes health and the environment,” Smith says. Healthy Places falls under a larger umbrella of the Camden Collaborative Initiative, a partnership among roughly 50 government, nonprofit, private and community-based agencies that Cooper’s Ferry helped launch in 2013. Its goal is to help create and implement projects that lift and improve the environment and quality of life for Camden residents. “We are really putting a collective impact spin on how we tackle health in the city of Camden,” Mitchell says. For Valeria Galarza, vice president of Public Health Initiatives at the YMCA of Burlington and Camden counties, the Camden Healthy Places Initiative is vital. “The city of Camden has many opportunities to transform unused space to connect the community to activities,” she says. “We need to demonstrate that exercise and physical activity can happen anywhere. 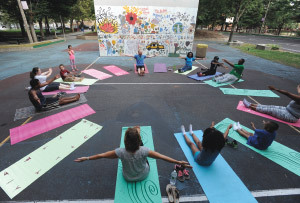 Galarza and her team at the YMCA worked on the Connect the Lots program, administering outdoor yoga classes at Johnson Park downtown. Not only was that effort a success, it was among the catalysts that led to creation of the Healthy Places Initiative. “The program was successful in attracting local residents and partners to take our classes in a park not usually used for exercising,” Galarza says. “The park is small, but conveniently located in the downtown area with consistent foot traffic near the school district administration building and Rutgers University’s Camden campus. The classes were visible to passersby, making it a go-to place to get active. Community education is among the top objectives of Healthy Places. Activities in the works include a mini Camden Olympics, a fitness loop, aqua Zumba classes in a revamped pool and assorted bike-related events — each with the dual goal of increasing fitness opportunities while providing a safe environment. “Kresge has been instrumental in helping us think outside the box, to really consider the interconnectivity of social networks and the natural fabric of the community,” Mitchell says. “A lot of foundations are focused on funding one aspect of the work, but not interested in much overlap or collaboration between different sectors, say, between the arts and environment. As holiday gifts go, moving into the Karcher Artspace Lofts in Waukegan, Ill., on Christmas Day 2012 might have been one of the best yet for artist Evelyn Larsen-Ford. Established in 1979 by the City of Minneapolis, Minn., Artspace Projects Inc. began as a result of the gentrification of the city’s warehouse district. Today, Artspace is a leading developer of affordable live-work spaces for artists, with 40 “art spaces” across the United States. These facilities are most often abandoned and historic structures that have been reclaimed and renovated by Artspace. They are home to nearly 1,400 artist families and offer space for 298 creative enterprises. There are also about 15 additional projects under development. These affordable live-work residences promote the prosperity of the artists, community pride and economic growth within the neighborhoods. “We want to help the neighborhoods around our projects evolve in ways that are consistent with the community’s vision, whether that means rapid growth or anchoring a distinct cultural heritage,” Hamilton says. Artspace has been partnering with The Kresge Foundation’s Arts & Culture Program on projects for more than 20 years, says Regina Smith, Arts & Culture managing director. That relationship took a new turn in 2011, when Kresge’s Social Investment Practice structured a deal to provide Artspace with a $1 million unfunded guarantee that made it possible for two new projects to move forward. Kresge’s guarantee substituted for Artspace’s cash reserve, required by equity investors for two mixed-use affordable housing projects under development at that time: The Harvester Artspace Lofts in Council Bluffs, Iowa, and the Karcher Lofts where Larsen-Ford lives and works. “The opportunity for us to have a different relationship with Artspace was triggered by the economic downturn,” Smith says. Like many commercial real estate developers at the time, Artspace was having difficulty leasing new apartments and commercial space. 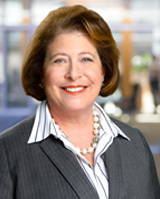 The Kresge guarantee “allowed the organization to continue to progress during the downturn when it was difficult to access traditional forms of capital,” she says. Trying to close the financing transactions for both projects without the guarantee would have been nearly impossible. Today, the developments in Council Bluffs and Waukegan are fully occupied and flourishing. Smith says it was an important, groundbreaking deal. In 2010, Artspace Projects Inc. was faced with a challenge made more difficult by the ongoing financial crisis. The organization was seeking to redevelop two properties in largely abandoned downtown areas in Waukegan, Ill., and Council Bluffs, Iowa. Their financial partners were comfortable financing the affordable housing portions of the live-work projects, but hesitant when it came to the developments’ ground floor commercial units. These retail spaces often house nonprofit organizations and other cash-strapped creative and locally based enterprises. For that reason, investors were concerned about Artspace’s ability to attract commercial tenants and therefore required Artspace to set aside significant cash reserves as security. Doing so would have forced Artspace to tie down its modest cash flow; investments in new projects would have ceased. Artspace approached Kresge for help meeting those reserves. Kresge’s Social Investment Practice crafted a deal that put up a $1 million Kresge guarantee. The challenge aligned with the goals of the Social Investment Practice to leverage the foundation’s assets in ways other than traditional grants, as well as the goals of the foundation’s Arts & Culture team to support affordable live-work spaces for artists. The relationship between Artspace and Kresge’s Arts & Culture team was well established. Kresge had been providing grant support for years and “had confidence in their leadership, their product and their ability to successfully manage projects over time from both a community and financial perspective,” says Kresge’s Kimberlee Cornett. The guarantee was the right tool at the right time. “We were trying to build up our capacity to make these guarantees because we thought it was a way for us to have significant impact without requiring cash resources from the foundation,” Cornett says. 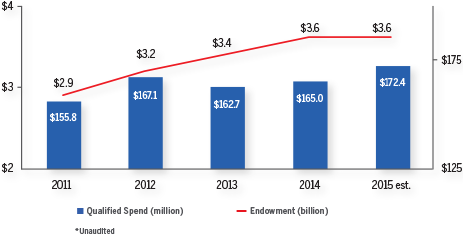 At the end of 2015, Detroit was fiscally stronger than it had been in many years. The previous December, the city emerged from a bankruptcy that could have mired it in legal-fiscal limbo. There was an immediate moment of optimism, followed by the unavoidable question of whether it could last. There is a palpable sense now that further progress is at hand. We can cite the leadership of Mayor Mike Duggan and partners in Washington and Lansing. We can cite Detroit residents, old and new, working in their neighborhoods. Across that spectrum, Detroiters are forging a culture of confidence — a belief that this place can offer an opportunity-rich future for everyone. Kresge works to advance this vision by working in multiple areas. Looking back at 2015, a signal neighborhood initiative and our transit work seem to capture the breadth of our ambition and hopes. We are sowing the seeds of revival far and wide through Kresge Innovative Projects: Detroit, a three-year, $5 million initiative within our “green, healthy, active neighborhoods” focus area. In April, we announced a package of 18 grants for both “shovel-ready” projects that could be implemented within 18 months, and for planning grants for promising ideas. By November, we saw the Downtown Boxing Gym Youth Program in a new home, new pocket exercise parks in the Piety Hill neighborhood, other projects emerging and plans being drawn. When we opened applications for the second round, it was to more than 80 new proposals. We look to increasingly light up the map of Detroit with the reality of positive change through this initiative. Meanwhile, on 3.3 miles of Woodward Avenue, Kresge’s $50 million investment in the M-1 RAIL streetcar line is taking shape. We can already see economic development along the route where the first passengers will ride in early 2017. M-1 RAIL’s role as the catalyzing first leg of a regional system is solid, with the promise of major benefits for residents of Detroit’s 139 square miles — and beyond to the metropolitan region that includes Wayne, Oakland, Macomb and Washtenaw counties. To that end, our 21st century regional transit focus in 2015 included grants for crucial public education about the need for — and promise of — high-quality regional transportation through the Detroit Regional Chamber Foundation and the grassroots organization, Transit Riders United. We are encouraged and optimistic that the landscape for revitalization is stronger than ever through projects modest and massive, concentrated and dispersed — and all mutually reinforcing for a better future. The northwest Detroit, Mich., neighborhood near the intersection of Livernois Avenue and Six Mile Road was a vibrant place during Lauren Hood’s youth. But Hood says the transformation that occurred there since has been heartbreaking. Commercial strips have fared even worse than residential streets. Where Hood can still recall rows of businesses whose owners she knew by name, there are now stretches of vacant and under-maintained storefronts — especially along the mile-long section of Six Mile Road between Marygrove College and the University of Detroit Mercy (UDM). Jevona Watson, who has lived in the neighborhood since 2005, says there’s nothing to draw locals to this stretch — even less for students attending the two colleges. In 2015, The Kresge Foundation joined other funders in an effort to start bringing the neighborhood back. The Live6 Alliance is a new community development organization aimed at revitalizing Six Mile between the two colleges, as well as the stretch of Livernois running roughly from Six Mile to the shopping district a mile north at Seven Mile Road. 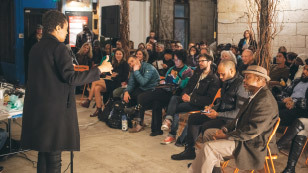 Laura Trudeau, managing director of The Kresge Foundation’s Detroit program, says the Live6 concept arose from research the foundation funded that examined ways for UDM and Marygrove to better engage with their neighborhoods. One key conclusion was that the schools and the community could work together to strengthen the Six Mile-Livernois area as a whole, and better connect the colleges and the shopping district. “We just saw this confluence of assets in the neighborhood that we could be helpful in supporting,” Trudeau says. “I think the most important thing is it sends a beacon out to the rest of the philanthropic community that says, OK, this place is worth investing in,” Hood says. “It can become a self-fulfilling prophecy. If one organization says, ‘This is worth investing in,’ then other organizations start to invest. In the months since Hood has been at work, she has solicited a variety of opinions from neighbors and community leaders regarding a future vision for the area. Hood says residents most frequently request a coffee shop. But she’s also heard interest in entertainment venues, more food options and gathering places. One elderly woman requested a biergarten. But little did. Today, residents can see action, including potential investors and tenants out and about, scouting locations and exploring the possibilities. The Livernois-Six Mile area was a clear fit for the focus area aimed at strengthening neighborhoods, but Detroit Program Deputy Director Wendy Jackson says the Live6 project “cuts across several strategies.” For instance, engaging citizens and neighborhood groups in the process of renewal enhances civic capacity for a variety of future projects. And, Jackson notes, the area is a good fit for evolving efforts to support early childhood education and arts and culture. In shaping Live6, Kresge took inspiration from Midtown Detroit, an area where the foundation had already invested considerable resources with remarkable success. Kresge has supported numerous initiatives in Midtown, notably forming a strong partnership with community development corporation Midtown Detroit Inc., one of the key players in the booming district. The Midtown neighborhood is situated around Woodward Avenue just two miles north of the central business district, where Kresge has also funded major projects like the RiverWalk that runs along the Detroit River. Trudeau says Midtown’s revitalization was empowered by other longtime resident institutions like Wayne State University, the College for Creative Studies and the Detroit Medical Center. The foundation saw parallels to those institutions and UDM and Marygrove. Benjamin Kennedy describes the Livernois-Six Mile area as having “Woodward-like qualities” because of the surrounding institutions and the importance of the two corridors in the neighborhood. As managing director of Kresge’s American Cities Practice, Kennedy also supports the foundation’s Detroit Program. “We are extremely proud of the work we’ve collectively done in Midtown and downtown, but we know we aren’t finished,” Kennedy says. “It is important to resuscitate the core of the city, but a city is only as good as its neighborhoods — all of its neighborhoods. In Midtown, that project was the long-planned 3.3-mile M-1 RAIL streetcar system now under construction and slated to begin passenger service in early 2017 with Kresge’s pivotal support. At Livernois and Six Mile, it was the Livernois Streetscape Enhancement Project, which began in 2014 with beautification of the Livernois median. Kresge contributed $200,000 to that program as a co-funder with UDM, the Michigan Department of Transportation, the City of Detroit and the Detroit Economic Growth Corp. The second main strategy was to invest in what Kennedy calls a “district steward,” a person and/or organization based in and invested in the future of the district. In Midtown, that steward was Midtown Detroit Inc. led by Sue Mosey; at Livernois and Six Mile, it’s Live6 and Hood. Although she’s currently a Midtown resident and proponent, Hood is set on working with the residents of the Livernois-Six Mile area to drive their neighborhood’s revitalization. According to UDM President Antoine Garibaldi, early discussions with Kresge about revitalization efforts at Livernois and Six Mile envisioned an economic development organization aimed at attracting new businesses. However, Garibaldi says Detroit’s municipal bankruptcy filing in 2013 slowed the planning process and caused organizers to reevaluate their priorities. Garibaldi says he and the others realized that Live6 needed to start by engaging the neighborhood, and work back from there. With that in mind, Hood has held nearly 100 meetings with neighborhood business owners, block club leaders and other stakeholders. She’s recruited members from all of those groups to form a community advisory committee, which began meeting in March 2016. One of the community members Hood met with was Watson, who was rehabbing a deserted storefront on Six Mile into the strip’s first coffee shop, Detroit Sip. Since she started working on the store last year, Watson says she’s received “nothing but positive feedback” from her neighbors. Passersby ask when the shop is opening; people drive by and honk horns. Watson describes a “contagious” sense of enthusiasm for bettering the neighborhood that she expects to translate to the Live6 planning process. Still, there’s plenty to solidify in terms of Live6’s specific vision for the neighborhood, Hood says. Increasing the area’s walkability, cleaning up alleys and encouraging more exchange between the area’s college students and neighborhood residents are all potential projects for Live6. But the overall plan will be shaped by what Garibaldi describes as “coordinated thinking” among neighborhood stakeholders. The turnaround leaders have in mind for the Livernois-Six Mile area can be difficult to imagine given the neighborhood’s current condition. As Hood chats about her plans for Live6, she stands in a mostly empty parking lot on Six Mile. Across the street is a stretch of dilapidated and vacant buildings. Just down the road, a liquor store is the block’s main source of activity. But Hood sees beyond that with her vision of a lively, vibrant cultural corridor. It isn’t just as good as the neighborhood she grew up in — it’s better. Detroit’s Midtown has been one of the brightest examples of the city’s revitalization over the past decade as business, nightlife and cultural activities have exploded in the neighborhood just north of downtown. ABut even with its uptick in popularity, residential developers have faced challenges building there. After the financial recession of 2008, property values failed to keep pace with increasing demand for new, amenity-rich housing in the neighborhoods. Traditional investors had serious doubts about whether they could make money there and were slow to provide developers with the capital needed to build, even as vacancy rates soared over 90 percent. Detroiters seemed eager to live, work and play in the up-and-coming neighborhood, but they couldn’t find places to live, says Benjamin Kennedy, managing director of The Kresge Foundation’s American Cities Practice. Enter the Woodward Corridor Investment Fund (WCIF). In 2013, with a $5 million low-interest loan, Kresge helped roll out the $30 million initiative that offers long-term, fixed-rate loans for multifamily and mixed-use developments in the Midtown area. It pools $15.25 million in senior capital from PNC Bank, Prudential, MetLife and the Max M. and Marjorie S. Fisher Foundation with $15 million in subordinate capital from Kresge, the Calvert Foundation and Capital Impact Partners, the Virginia-based community development financial institution also serving as fund manager. Scott Sporte, Capital Impact Partners’ chief lending officer, says it’s an innovative approach due in no small part to Kresge’s growing focus on social investing. Kresge was willing to go deep using both grants and social investments — a strategy that is still new to many foundations. Laura Trudeau, managing director of Kresge’s Detroit Program, says WCIF simplifies the “capital stack” of financing — tax credits, foundation grants, traditional senior debt — that developers often need to assemble to fund a project in a disinvested community. So far, Trudeau says, WCIF has been an “extremely effective model.” The fund’s first project, the renovated Regis Houze, opened in November 2015. The six-story building, connected to the St. Regis Hotel on West Grand Boulevard, had been vacant for many years. After a $4 million renovation, it houses 58 apartments, along with retail space on the ground floor. Sporte says five more projects are currently under construction. Most involve renovating a vacant or blighted building. “This is infill, rehab housing that will improve the overall look and feel of the neighborhood,” Sporte says. Since the fund launched, it has demonstrated that investing in Detroit doesn’t have to be too risky. Similar initiatives and funds have formed that cite WCIF as their model. The fund opened the door, showing the possibilities. The WCIF partners’ goal is to raise a second fund soon, this time possibly with less subsidy from Kresge and more from other subordinate lenders. Kresge Foundation’s Kimberlee Cornett says it became evident in 2011 that Midtown Detroit was in need of amenity-rich, multifamily housing. But no one was building it. So Cornett led the creation of the Woodward Corridor Investment Fund (WCIF), a $30 million fund offering long-term, fixed-rate loans for multifamily and mixed-use developments in the Midtown area. In November 2012, Kresge helped manifest a $30 million fund to invest in development of the Midtown area. The foundation invested $5 million of subordinate debt in the fund, and secured an additional $5 million in secondary debt from both the Calvert Foundation and Capital Impact Partners. Kresge also provided a guarantee capped at $1.5 million to the Calvert Foundation. In addition, the foundation secured senior debt from MetLife ($5 million), Prudential ($5 million) and PNC Bank ($5 million). The Max M. and Majorie S. Fisher Foundation contributed $250,000. The fund was publicly announced and began accepting proposals in 2013. Cornett notes that JPMorgan Chase largely replicated Kresge’s WCIF model with its own $100 million Detroit investment fund one year later. Several projects have now closed deals with WCIF, and one of them has been completed. “Now we’re getting ready to raise a second fund on the back of the first because demand for financing has been so high,” Cornett says. Arts and culture contribute to an essential quality of life that is vibrant, diverse and self-enriching. For that reason The Kresge Foundation has invested more than $3.5 million over the last eight years in the Kresge Arts in Detroit (KAID) initiative, which continues to influence the metropolitan region’s creative economy with its Artist Fellowships and Eminent Artist awards to artists living and working in Wayne, Oakland and Macomb counties. Iconic textile designer Ruth Adler Schnee, right, was named the 2015 Kresge Eminent Artist. The award, which includes a $50,000 prize, honors Schnee’s pioneering work in revolutionizing textile design in the post-World War II era. Schnee became the seventh artist recognized in this manner since 2008. The 2015 Kresge Artist Fellowships awarded 16 metro Detroit artists and two collectives with unrestricted $25,000 prizes for their commitments to the fields of literary and visual art. In addition, artists also received a year of professional development support from Creative Many Michigan, a statewide organization dedicated to developing creative people, places and economies through research, advocacy, professional practice and communications. In 2015, KAID also launched the Gilda Awards in commemoration of the late artist Gilda Snowden, beloved for her work guiding emerging talents. The two-year initiative will support the work of four artists with an unrestricted award of $5,000 to each recipient. Sacramento Knoxx (visual arts) and Maia Asshaq (literary arts) received awards in 2015. Detroit jazz trumpeter and 2009 Kresge Eminent Artist Marcus Belgrave died May 24, 2015, at the age of 78. Active and influential on the world music stage, Belgrave proudly embraced Detroit and its musical community as his own. “I think I helped to reestablish the cause of music in the city and to continue the quality of music Detroit has had in the past,” he said in 2009. “In the late 1950s, music became segmented, but Motown took the jazz musicians who remained and molded them into an entirely different industry in the 1960s. With too many notes in him to pass so soon, he is missed by Detroit and the world. In philanthropy, we seek to address many difficult social problems, from climate change to growing economic and social inequality to access to health care. Many perceive these problems as intractable and impossible to fully solve. 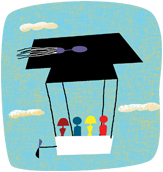 For some, America’s flat college attainment rate falls into that category. Some see it as being as immutable as the First Law of Thermodynamics in physics. They believe no amount of investment or reform can have any meaningful impact. That’s why in March 2015, we invited our Board of Trustees to Austin, Texas, a center of educational innovation. We wanted them to see firsthand the type of change that is possible and to hear directly from low-income college students about their struggles and breakthroughs. At the University of Texas and at Austin Community College, we spoke with national leaders — experts on improving student success through the use of Big Data, reworking developmental education, addressing both on- and off-campus barriers to student success and fostering a growth mindset that can build the resilience students need to complete a degree. Low-income students described the challenges they face as they try to attend college while juggling family and work demands. At that meeting, Kresge’s board approved our education strategy for the next three to five years. In addition to continuing our existing focus areas (Supporting Pathways to and Through College and Building the Capacity of Institutions that Serve Low-income, First-generation and Underrepresented Students), we added a third focus area: Strengthening and Aligning Urban Higher Education Ecosystems. While higher education policy generally focuses on the federal or state level, for most low-income people, college is very much a local activity. Low-income students typically go to college in or near their hometowns. But K-12 systems, community colleges, four-year universities, businesses, nonprofits and local governments rarely coordinate or align their programs, credits or activities, leaving students to navigate complex environments alone. By encouraging community-based solutions, we believe we can have a positive impact on college attainment. Communities need to address problems holistically, but colleges also need to use new tools to solve time-worn barriers to student success. I don’t use this word lightly, but as you will see in this annual report, Georgia State is revolutionizing higher education through data analytics. By using Big Data to identify problems, address ineffective practices and adopt a student-centered environment, this urban institution, once a bastion of Jim Crow segregation, now graduates more African-Americans than any other public or nonprofit university in the country. We can’t disagree that improving college attainment is tough. But the barriers low-income students face are not impossible to knock down. As Georgia State and our other partners demonstrate, with smart solutions, change is possible. You won’t find Georgia State University (GSU) in the top tiers of the most well-known academic rankings. Yet this urban institution, located in the heart of Atlanta, Ga., has emerged as a national leader when it comes to student success. In the last decade, GSU has significantly boosted enrollment and graduation rates among minority and low-income students with the kind of innovative, student-centered solutions The Kresge Foundation’s Education Program likes to nurture. Most students at GSU come from disadvantaged socioeconomic groups, particularly people of color and children of immigrants. Many hold jobs and have children. Yet, GSU graduates about 1,700 more students each year than it used to and now awards more degrees to African-American students than any other public or nonprofit university in the U.S. In 2015, the 30,000-student university received a $981,000 Kresge grant that will allow it to expand its Summer Success Academy (SSA), a program for incoming freshmen who might otherwise struggle in college or skip it altogether. The program is one piece of GSU’s broad strategy to eliminate barriers to a college education. The grant will also help smooth the transition as GSU absorbs Georgia Perimeter College, a community college in Atlanta that is also struggling with retaining and graduating nontraditional students. While Kresge’s Education team typically funds large networks and multi-institution partnerships, it considers GSU’s work on its own to be both vital and measurably successful. Moses and his team look for opportunities to expand two- and four-year college access and success for low-income, first-generation and underrepresented students nationwide — with a special focus in a handful of states (California, Florida, Michigan and Texas) and in South Africa. To that end, the foundation helps support the systemic, managerial and curricular infrastructure that will make it possible for more low-income, underrepresented students to prepare for college and overcome barriers toward a degree — a hedge against poverty. According to the U.S. Census Bureau, about 40 percent of Americans over age 25 held an associate or higher degree in 2014. That means 60 percent either did not go to college or failed to graduate. Since 1970, graduation rates among students from the lowest household income quartile have increased from 6 to 9 percent, while students from the top quartile saw rates increase from 40 to 77 percent. Failure to earn a postsecondary degree or credential of any kind is an obstacle to joining the middle class in America. It dooms many to a life of part-time and low-paying jobs. “In the U.S., we’re trying to ensure public higher education remains a public good, not a private good,” Moses says. Yet, Moses says, many colleges and institutions aren’t taking seriously the low graduation rates of their least privileged students. In fact, most college students in the U.S. are not the stereotypical, fresh-faced 18-year-old living in a dorm. Today, Kresge is among the most influential higher education grantmakers in the nation. As it awards grants, it also puts a priority on engaging deeply with grantees. The university provides microgrants to help college seniors who are at the finish line, but who have run out of financial assistance. The average grant is $900 – paltry considering both the value of a degree to a student and the tuition loss it would mean for the school if the student left (about $10,000). GSU doubled the size of its advisory staff and put counselors on one floor in the same building. They are versed in all majors, so students don’t need to spend time searching for a specific adviser. The university uses predictive analytics based on 10 years of data on student achievement patterns to track each student daily to make sure he or she is on course academically. Freshmen are counseled and steered into majors early so they don’t waste time and money taking the wrong courses or bouncing around between majors. Freshmen take introductory math in “flipped” classrooms, meaning they pace their own learning in computer labs, with instructors available when needed. Since that change was implemented about eight years ago, the number of students who pass the course has increased. Previously, only 57 percent of students made it; now it’s more than 80 percent. “These types of interventions have had a much more positive effect on at-risk students who lacked familiarity with college,” says Timothy Renick, Ph.D., GSU vice provost and vice president for Enrollment Management and Student Success. Because students aren’t wasting credit hours on classes that don’t meet their major’s requirements, they are graduating more quickly, too, he says. A side benefit to student success? GSU’s revenues have increased as more students are able to stay in school. GSU’s initiatives over the last decade exemplify practical changes that can truly move the needle. Enrollment grew from 27,000 to 32,000, and the percentage of minority students rose from 46 percent to 63 percent. Nearly twice as many GSU students now receive Pell grants — federal money available to economically disadvantaged students. The Summer Success Academy is one of GSU’s success-related interventions. The four-year-old program has served some 1,000 freshmen, acclimating them to campus life before the semester starts in September. Students participate in seven weeks of skill-building workshops and credit-earning classes, enabling them to carry a lighter load during the regular school year. They may also live on campus. Gunawork Wondimneh, a 19-year-old freshman and daughter of Ethiopian parents who is majoring in marketing and risk management, says the summer academy provides “all the information you need to have a successful, smooth start to college.” She’d been apprehensive about making her way around campus; living there for the seven weeks helped assuage those fears. The SSA also provided her with invaluable information about applying for loans and scholarships. That put her in a position to help friends who came to campus later and had questions about financial aid. For 21-year-old Fortune Onwuzuruike, the SSA provided a head start. The health informatics major says he had access to a variety of campus organizations and mentors during the summer. Today, Onwuzuruike is a peer mentor with a strong GPA. “The school reached out to me and was really screaming about opportunities,” he says. By providing at-risk students with the opportunity to participate in the SSA, GSU has boosted retention rates to 90 percent and given many of those students the confidence to persist. Students receive tutoring help, meet with advisors, do team-building exercises and take classes that they can apply toward course requirements for their major. “These students have been performing better than their freshmen peers,” Renick says. Kresge’s grant will help GSU open the summer program to more students in 2016 — and perhaps house them on campus, he says. Kresge’s education partners range from colleges and universities to networks of college access nonprofits — institutions that affect a student’s ability to enroll, persist and succeed in college. Other 2015 grants were awarded to the University Innovation Alliance, a consortium of 11 research universities working on solutions to help students from all socioeconomic tiers graduate at a lower cost; the Michigan College Access Network; and Achieving the Dream, a nationwide reform movement that is dedicated to student access and success in community colleges. In South Africa, until eight years ago, Kresge mainly funded capital projects. As Kresge’s grantmaking shifted to a more strategic focus, the foundation saw that South African universities didn’t have experience cultivating and securing private funds. Kresge stepped in to provide grant assistance that helped them triple private contributions. It didn’t stop there. Post-apartheid South Africa is experiencing the same challenges that public universities do in the U.S.: Fewer students are college-ready and fewer graduate. Kresge provided a grant to the South African Institute for Distance Education to create Siyaphumelela (“We succeed” in Xhosa, one of South Africa’s official languages). The initiative has encouraged the use of data analytics to manage student progress — much like GSU is doing — at five universities. In fact, Moses says GSU’s “iconic role in the student success movement” serves as a role model for other Kresge grantees. From medics and caregivers to cooks and technicians, many adults have life experiences that can translate to college credits, saving them time as well as thousands of dollars in tuition and fees. However, there’s no universally accepted tool for the country’s higher education institutions to measure what students already know and how many credits they deserve for that knowledge. That’s why in 2015, The Kresge Foundation, working with other funding partners, made a $2 million low-interest loan to the Chicago, Ill.-based Council for Adult and Experiential Learning (CAEL) through its Social Investment Practice in partnership with Kresge’s Education Program. The loan helped to fund the expansion of CAEL’s online Prior Learning Assessment platform, called LearningCounts.org, in Michigan and Texas. “At Kresge, we work with community colleges all over the country, and a lot of them do prior learning assessment on their own,” says Caroline Altman Smith, deputy director of Kresge’s Education Program. “It’s very fragmented and inefficient because colleges rarely have a full-time person committed to it. It would be impossible for any one college to be able to review and assess the many types of knowledge and skills that can be gained outside of a classroom. CAEL President and CEO Pamela Tate says LearningCounts.org was launched in pilot form five years ago and went national in 2013. Adult students use the site to create a portfolio that documents their work experience and knowledge; the portfolio is then evaluated by a college faculty member. Credit is awarded when students can demonstrate a level of comprehension or skill equivalent to what they would have learned in a college course. CAEL hopes colleges will subscribe to the program and accept the staff training and other support that LearningCounts.org provides, and then make the platform available to their students. However, adoption has been slow as individual campuses juggle multiple demands. “You have a lot of community colleges working at the edge of their capacity, with initiatives left and right, so it’s been difficult to get their attention focused on one thing,” says Scott Campbell, CAEL’s vice president for higher education. Now selected colleges in Texas and Michigan are participating, with Kresge’s grant support. That includes covering implementation and annual fees; training for faculty members, advisors and admissions staff; and marketing or promotional assistance. “The time and effort to get this in place in those two states has been just astronomical — incredibly labor intensive,” says Tate, adding that with Kresge’s support, CAEL has been able to expand LearningCounts.org to 42 colleges across the country. Smith acknowledges there is some repayment risk for the foundation should LearningCounts.org not become a profitable business. But Kresge was willing to make the investment because it has the potential to break new ground and effect meaningful, long-term change. As that happens, students will benefit. In 2015, Kresge made a low-interest loan to the Chicago, Ill.-based Council for Adult Experiential Learning (CAEL) through its Social Investment Practice to expand the organization’s -— and dynamic leader Pamela Tate’s — ambitious LearningCounts.org program. The loan capital followed a series of Kresge grants to CAEL totaling more than $2 million since the inception of LearningCounts.org in 2010. Kresge chose to provide loan funds to support the expansion of LearningCounts.org, which was critical for the organization’s growth. The loan to CAEL had a 2 percent interest rate and an eight-year term. Half of the loan was made available in June 2015, following CAEL’s development of an updated business plan for the LearningCounts.org platform; the second $1 million will be released in June 2016 if certain benchmarks related to student enrollment and college participation levels are met by that time. If CAEL qualifies for the second disbursement, it will be applied to finance further scaling of LearningCounts.org. The loan will be repaid from revenue earned from colleges that use the online platform. Principal repayments will begin in 2021. Climate change notably rose to the forefront in 2015. Temperatures tracked so far above average that the year claimed the title of hottest on record. Global carbon dioxide levels were at their highest in recorded history. Drought, record-setting storms and other weather extremes have become the norm. Amid justified alarm, 2015 also brought encouraging developments on climate action. Scientists and statisticians confirmed that it remains possible to keep warming below the 2° C threshold considered essential for planetary safety. The limiting factor is not technical know-how, but political will. In June, the Vatican released a papal encyclical on climate change, with a message of moral responsibility to address this grave danger. Pope Francis reinforced that climate change is not a niche technological or political concern, but rather, a pervasive threat with immense implications for human rights and social justice. International climate change negotiations in Paris also offered hope. For the first time, the proceedings included a series of events focusing on the role of cities in accelerating climate solutions, and Kresge was in attendance. More than 1,000 city and regional officials convened to showcase the leadership cities are providing in addressing climate change and to demand more support at the national and international levels. Kresge grantees are playing a critical role in helping build political will for more aggressive climate action. They provide leadership in elevating the social justice implications of climate change mitigation and adaptation policies. They also support cities in developing approaches toward reducing greenhouse gas emissions and achieving carbon neutrality goals. Our work focuses on helping communities build resilience in light of climate change. We support innovation in cities, ensuring they consider the needs, interests and knowledge of low-income residents as they develop and implement climate change strategies. A signature accomplishment for Kresge’s Environment Program in 2015 was the launch of our Climate Resilience and Urban Opportunity Initiative. Through the initiative, a group of nonprofits with extensive experience in low-income communities began to deepen their engagement in local and regional efforts to reduce the pollution that causes climate change, prepare for its unavoidable impacts and strengthen social cohesion and inclusion — each essential to building climate resilience. The Program’s Urban Energy Resilience work also made important strides. Research undertaken by the Carbon Neutral Cities Alliance served as the foundation for an international exchange of senior sustainability staff from cities around the world. They shared best practices on urban climate action and deepened relationships that will help their cities achieve climate goals more quickly. While climate change broadly threatens human well-being, individuals living in poverty are most at risk. Kresge’s Environment Program seeks to ensure that their pathways of opportunity are strengthened in the face of climate change. A few years ago, La Keisha Davis was working two waitressing jobs, going to school and raising her son on her own. 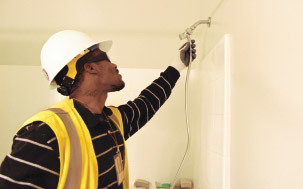 Davis’ path to stability came from an unlikely source: a job training program expanded due to the efforts of RePower LA, a coalition of Los Angeles-area advocates working to accelerate investments in energy-efficiency programs at the Los Angeles Department of Water and Power (LADWP). RePower LA is a project of the Los Angeles Alliance for a New Economy (LAANE) — an organization working to promote equitable economic approaches that benefit all residents. 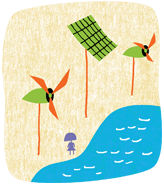 Kresge’s funding helps support LAANE and its RePower LA coalition as they address climate resilience in Los Angeles through adaptation and mitigation strategies that create skilled jobs for low-income residents. RePower LA helped ensure the effectiveness and expansion of the LADWP job training program, which aims to direct more clean energy resources to low-income neighborhoods, develop pathways for low-income residents to obtain the resulting jobs and reduce greenhouse gas emissions in Los Angeles. Once Davis completes LADWP’s Pre-Craft Training Program, she expects to take a skilled union job with the department. The LAANE/RePower LA work dovetails with Kresge’s belief that communities need to simultaneously address three fronts to achieve meaningful climate-resilience results: reduce greenhouse gas emissions, plan for the effects of climate change that are underway or anticipated, and foster social cohesion and inclusion. In Los Angeles, LAANE was eager to build on the success of the pre-craft training program by finding additional clean energy and water efficiency investments that reduce climate change pollution, help the community adapt to climate change and benefit low-income residents. They’ll be able to do that with a recent $660,000 multiyear grant from Kresge’s Climate Resilience and Urban Opportunity Initiative. The initiative aims to strengthen the capacity of community-based, nonprofit organizations to influence local and regional climate change planning, policy development and implementation to better reflect the needs and priorities of underrepresented communities in America’s cities. Low-income residents disproportionately live in areas most exposed to hazards like flooding or extreme heat, yet have the fewest resources and support systems to prepare, respond to and recover from resulting shocks and disruptions. They also are less likely than affluent residents to enjoy the cost-saving and quality of life benefits of energy efficiency upgrades and renewable energy development. The initiative supports better inclusion of the perspectives and concerns of low-income communities in local and regional climate-resilience planning and implementation efforts. Those include approaches to manage precipitation from intense storms; efforts to address the health ramifications of heatwaves; and the deployment of reliable, clean energy technologies and other interventions that seek to tackle climate change both by reducing heat-trapping greenhouse gas emissions and creating infrastructure and policies to minimize the impacts of extreme climate-driven events. The goal of these efforts is better preparedness for climate events, reductions in climate pollution and policies and plans that deliver co-benefits addressing the economic and social vulnerabilities that low-income communities face. Health outcomes improve as residents are better protected from high heat, social cohesion is strengthened and jobs — like the one Davis has lined up — are created. Los Angeles has a host of climate and sustainability goals designed to reduce energy usage, increase deployment of renewable power and boost water-use efficiency. With Kresge’s support, the RePower LA coalition is building a campaign to hold the city accountable for meeting its climate and sustainability goals and to ensure that its climate-resilience investments benefit all city residents. The coalition also helps provide community leaders with skills and training to ensure robust participation in local and regional decision-making. Ultimately, RePower LA aims to ensure that low-income communities share in the benefits of a more climate-resilient city. In New York City, another Kresge Climate Resilience and Urban Opportunity Initiative grant recipient — the Alliance for a Greater New York (ALIGN) — is working to reduce that city’s contribution of heat-trapping emissions, prepare for the impacts of climate change and ensure that the city prioritizes low-income, climate-vulnerable communities in its work. ALIGN and LAANE were among 17 organizations that received planning grants through the initiative in 2015, and among 15 Kresge grantees awarded multiyear implementation support. 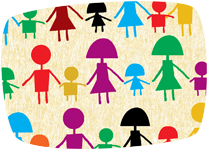 Supporting community-based nonprofit organizations is a critical strategy for doing that. “Because climate resilience is a relatively new concept, and approaching it with intentionality around low-income inclusion is also very new, we wanted to launch an initiative that went beyond supporting mainstream environmental organizations and provided funding to organizations that had strong track records of successful work in low-income communities,” DeBacker says. “We wanted to help them build on their previous work by adding a climate change lens. For ALIGN, that means working across a broad spectrum of interventions relevant to climate resilience. ALIGN’s Climate Works for All campaign is a coalition of 47 organizations tackling climate mitigation and adaptation through policy-making, educational outreach, civic action and relationship building. They focus on advancing equitable climate change policies, spurring investment in infrastructure and supporting communities through job creation, education and protection from climate change-fueled disruptions. Uniting “unlikely allies” — community groups, labor unions, environmental justice organizations, businesses and municipalities — is key, Daisy Chung says. For example, the Alliance for a Just Rebuilding (AJR), a coalition anchored by ALIGN in 2012, brought together labor unions, community, faith-based, environmental and policy organizations to address relief and rebuilding issues for communities devastated by Hurricane Sandy. The hurricane was truly an “Aha!” moment for those who previously felt they weren’t connected to or couldn’t be threatened by climate change, Chung says. “Hurricane Sandy was the realization that whatever people win on the economic front is put in jeopardy by (extreme climate events),” Chung says. ALIGN and its partners expanded the work of the AJR to design the broader initiative — Climate Works for All — a 47-group campaign that is partially funded by Kresge’s Climate Resilience and Urban Opportunity Initiative. The new, broader set of coalition partners helped move New York City’s focus beyond Hurricane Sandy disaster recovery efforts to long-term climate resilience planning and implementation, with equity front and center. Now with multiyear grant support of $660,000 from Kresge, the Climate Works for All coalition is working to ensure that New York City invests in comprehensive efficiency and clean energy programs for public and private buildings, and sets a clear path to achieve the city’s goal of 80 percent greenhouse gas emissions reductions by 2050. The coalition has organized a network of community and labor leaders to ensure that the city’s commitment is met, that low-income neighborhoods are prioritized for climate-resilience investments and that residents of these communities share in the jobs and other benefits that are generated. The potential for ALIGN’s and LAANE’s approaches to become a template for similar efforts in cities across the nation “made them a perfect fit” for Kresge, says the foundation’s Environment Program Officer Shamar Bibbins. Bibbins explains that the foundation’s hope is for these organizations to strengthen the climate-resilience field, with new models that benefit low-income people, and that they become part of a more visible set of leaders who are both advocates for low-income communities and experts on climate resilience. To understand what Bibbins means, look no further than Davis. She’s a prime example of how seemingly intractable problems like climate change can be addressed locally, while creating additional benefits like jobs and energy cost savings for low-income households. As an apprentice, Davis went into her neighbors’ homes to evaluate energy efficiency and implement changes. For many customers, such changes had been inaccessible because of income limitations or simply not knowing the suite of options available to them. Conserving energy is not only good for the environment. It saves money. 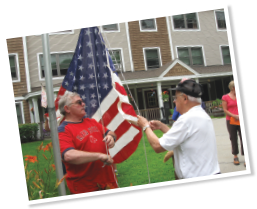 That dynamic is helping the nonprofit Cathedral Square in South Burlington, Vt., keep its affordable housing for low-income seniors and individuals with special needs within financial reach. Cathedral Square, which operates 30 housing communities serving more than 1,100 residents across Vermont, is now able to make once-unaffordable energy-efficiency upgrades thanks to Commons Energy. And with support from The Kresge Foundation’s Social Investment Practice, Commons is now empowered — and backed with funding — to help other nonprofits reduce utility bills and channel more resources to direct services for their constituents. They are also doing their part for the environment. The launch of Commons Energy was supported by several funders including Kresge, which in 2012 awarded a $180,000 grant through its Environment Program to Commons’ parent company, Vermont Energy Investment Corp. (VEIC), to develop Commons’ business model. After seeing great potential in Commons’ work, Kresge’s Social Investment Practice in early 2015 provided the organization with a $2 million loan guarantee that supports the creation of a $20 million fund providing capital to qualifying projects. As the nation’s first Public Purpose Energy Services Company (PPESCO), Commons is dedicated to reducing the economic and environmental cost of energy and the greenhouse gas emissions of small- and medium-sized buildings. Investors and lenders have historically supported energy services companies (ESCOs) and efficiency projects that target large buildings owned by for-profit companies. They have generally avoided smaller public purpose facilities such as schools, health clinics, city halls and recreation centers, tending to perceive low investment return and high loan default. Kresge’s guarantee and other financial backstop measures have opened the way for such entities to qualify for funding to enhance energy efficiency and to repay the investments from savings generated by the upgrades. Kresge’s Environment Program also provided an additional $300,000 grant to support Commons’ expansion into the education and health care sectors and create a small loan loss reserve for projects it finances. Commons has worked with Cathedral Square to secure loans and guaranteed energy savings to cut debt payments on three energy retrofits. One project, an upgrade to LED lighting in common spaces and hallways, was completed at the 82-unit Heineberg Senior Housing in Burlington. A second project is currently under construction. Elm Place in nearby Milton will be the first certified Passive House multifamily building in Vermont. Passive Houses are ultra-energy-efficient buildings that cut energy use 60-80 percent compared to that of structures built to standard building codes. A third project involving a complete energy retrofit at Bradley House, a Victorian mansion for low-income elderly in Brattleboro, Vt., begins in fall 2016. Cathedral Square illustrates how energy-efficiency investments in buildings owned and operated by nonprofits can generate a monetary and social return, says Kim Dempsey, Kresge’s Social Investment Practice deputy director. A key element of the partnership between Commons and Kresge, Dempsey says, is sharing the successes and failures of the Commons model with others who want to start their own PPESCOs. “Ultimately, the model needs to be widely replicable if we are to ensure these kinds of projects will positively impact low-income people in cities across the country,” Dempsey says. Meanwhile, Kresge’s support and offer of loan guarantees “has opened doors and led to tremendous opportunities with several interested investors,” says Scott Johnstone, Commons Energy general manager and VEIC executive director. Potential borrowers include a school district and a network of temporary shelters in Vermont, with at least 10 contracts in the works. The goal is to sign 300 projects worth $55 million in investment by 2021. Kresge program grants combined with a social investment loan guarantee helped enable Commons Energy to bring deep energy savings to public-serving buildings. The relationship with Vermont Energy Investment Corp., Commons Energy’s fiscal sponsor, began in 2012 with a $180,000 grant from Kresge’s Environment Program to create a business plan for Commons Energy, the nation’s first Public Purpose Energy Services Company (PPESCO). The Environment Program flagged Commons Energy as a socially conscious business concept worth testing and proving out. After completion of the business plan, the Environment Program worked with the Social Investment Practice to understand funding roadblocks and help Commons Energy flesh out a financing plan that would yield the best chance for success. A critical element of the Commons model is to confirm that such projects will generate sufficient cost savings to repay the financing necessary to complete efficiency upgrades. The High Meadows Fund and the MacArthur Foundation saw the promise of Commons Energy and added their financial support. Ultimately, the Social Investment team determined that a $2 million loan guarantee could unlock critical capital from both nonprofit and commercial sources for new Commons projects. The Kresge Board of Trustees acknowledged the deal as risky but approved the investment for its high social and environmental returns, as well as its alignment with the foundation’s focus on climate resilience in low-income communities. Financial terms included Kresge providing credit enhancement of up to $2 million to support a $20 million fund to finance energy-efficiency upgrades. The deal also included $300,000 in additional grant funds from Kresge’s Environment Program to allow Commons’ expansion into the new sectors of education and health care — promising targets if the PPESCO model is to succeed and scale up. Because of the seasonality of energy cost savings, a portion of the grant can also be used as a revolving reserve fund that will make payments to lenders if borrowers are late making their payments to Commons Energy. In addition, the deal included guiding principles such as signing projects that allow for a lower return on investment but yield deeper energy cost savings (30 percent or more) compared to an average of 15-20 percent for traditional energy services companies. The deal also calls for greater transparency in project pricing. The tragic story about the city of Flint’s contaminated water dominated the headlines in Michigan for a good part of 2015. While this was certainly a story about the failure of government to protect its citizens at a most elemental level — assuring access to clean and safe water — it was first and foremost a story about health. Thousands of people were exposed to dangerous levels of lead, a highly potent neurotoxin with particularly pernicious effects on children. Lead poisoning in young children can cause lifelong and permanent damage to mental and physical development. Unfortunately, childhood lead poisoning remains a concern for many other communities across the nation. Resources at the federal and state levels for lead testing and remediation have declined significantly over the last several years. Through our early investment in Get the Lead Out, an initiative to raise public awareness of this environmental hazard, and most recently with the Advancing Safe and Healthy Homes Initiative aimed at eliminating home environmental and safety hazards, Kresge’s Health team observed the struggles of many urban communities as they sought to galvanize resources and influence housing policy to secure safe and healthy homes. Some communities have been effective at keeping lead exposure at the forefront of civic priorities, but many others are still struggling to garner sufficient support and policy concern to eliminate this preventable problem. However, lead is but one of many environmental health challenges facing urban communities. These settings are characterized by a chronic disinvestment in capital and social infrastructure, a decline in the capacities of local leadership and the fragmentation of resources and systems needed to promote health and well-being. For example, the Kresge-sponsored Moving Forward Network, a national collaboration among community advocates, scientists and public health, launched a Zero Emissions Campaign in 2015 to call attention to the impact of diesel pollution on working-class communities adjacent to ports and railyards. Diesel exhaust is a toxin that has been tied to cancer, asthma and heart disease. These communities have struggled historically to raise their voices against the rush of industry. Such initiatives remind us that our efforts to move toward upstream approaches are essential to setting the stage for long-term solutions. We have learned the importance of context, and how opportunity is fundamentally influenced by the social and environmental conditions within homes, neighborhoods and communities. Public health is fundamentally multidisciplinary and multisectoral. As we move forward, the value of and prospects for cross-sector investments become increasingly clear. The complexities of the issues to be addressed require partnerships within and outside of The Kresge Foundation to arrive at solutions that will be meaningful in the long term. For much of the last 25 years, the national conversation around health has focused on the need for greater access to affordable, quality health care. There is good reason for that. Many Americans have lacked such access, with often devastating consequences. But achieving good health requires more than access to health professionals. Our health is largely determined by what happens outside the doctor’s office — the air we breathe, the food we eat, the stresses we face and educational and job opportunities. For individuals in low-income communities, those social determinants are often well outside the realm of personal choice. It’s hard to go for a jog around a violence-plagued neighborhood or buy fruits and vegetables when the neighborhood lacks a grocery store, for example. 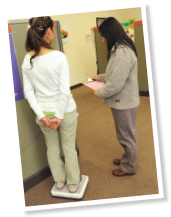 Confronting barriers to good health is part of the mission of Kresge’s Health Program. By recognizing that health is strongly influenced by the places people live, the foundation’s Health Program focuses on creating conditions that promote healthy communities. Through the program’s Accelerating Community-Centered Approaches to Health focus area, Kresge encourages health systems to share resources and responsibilities with community partners, and looks for ways to promote wider adoption of programs, practices and policies that advance community health. Eating locally produced food ought to be the easiest, simplest way to consume daily calories. In fact, eating local is often very difficult. Grocery stores and institutions that serve food want to do it as economically as possible, which often excludes small farmers. Consumers lose, too — especially those who lack easy access to farmers’ markets and grocery stores that sell a selection of fresh produce. “The U.S. food system, basically since World War II, has been built around scale: large-scale production, 1,000-acre farms that are growing one crop, large-scale processing and large-scale retail,” Kabel says. “As that process happened over decades, it became very difficult for small- to mid-size producers, aggregators and retailers to be economically viable. A Kresge Health Program grantee, Common Market, developed a solution to bring healthy food to communities that need it most. The Philadelphia, Pa.-based nonprofit organization works to provide healthy, nutritious food to local residents, especially those from low-income communities. 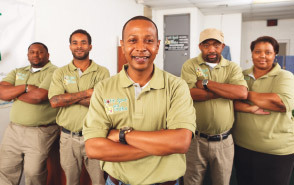 Common Market facilitates connecting wholesale customers like schools, hospitals, grocers and workplaces with farmers in New Jersey, Pennsylvania and Delaware. Kresge’s Health Program recognized the value of Common Market’s work and its ability to positively affect opportunities for health and promote health equity in the communities it serves. Common Market’s trucks pick up food from about 75 regional producers. It’s gathered in a warehouse and delivered six days a week to about 150 schools, colleges, hospitals, workplaces and grocery stores throughout the Delaware Valley. Customers order food by the caseload from Common Market’s availability list. In 2015, Common Market received a two-year, $500,000 grant from Kresge to expand this model to Atlanta, Ga.
“Common Market ties together disparate components of the food system in a way that I haven’t seen other organizations do,” Kabel says. “There are many organizations that are working to improve access to healthy, affordable foods in low-income communities, but it’s very difficult to reach this goal in a way that also economically benefits producers and retailers. Common Market was founded in 2008 by Haile and Tatiana Johnston. Soon after finishing graduate school, the couple moved to Strawberry Mansion, a low-income Philadelphia neighborhood, and began running community programs focused on gardening, healthy cooking and physical activity. “The idea for Common Market came from the need to create infrastructure to deliver the good food being created in our area,” Tatiana says. “One of the most popular things we did with our community programs was healthy cooking classes. The couple began a three-year planning process in collaboration with local organizations. They decided early to focus on institutions like schools and hospitals, both to ensure that healthy food would get to people who often don’t have access to it and to be able to operate on a scale that would benefit farmers. “It’s that focus on the institutional context that has really become the platform for our national expansion,” Haile Johnston says. “We’re one of the few organizations that successfully implement a mission focused on both sides of the value chain. Ed Weaver, a third-generation farmer in Berks County, Pa., grows a variety of fruits, primarily apples, on about 100 acres. Common Market became a customer shortly after the organization got started. Previously, he’d been selling to local farm stands and to visitors to his orchard. “Prior to working with Common Market, there was a lot of times when we would have to take our surplus to a local auction or the Reading Terminal Market to sell it,” Weaver says. “A lot of times, especially with the auctions, prices sometimes went really high, sometimes really low; there wasn’t any type of pricing structure you could be guaranteed. Weaver says his farm’s revenues have grown because of the partnership. Customers sometimes come to the farm and tell him they found out about it because Common Market’s produce is served in their workplace. “It helps to provide a bit of stability and security for us moving forward, knowing there is going to be a need and outlet there for the produce that we’re growing,” Weaver says. “Common Market helps to fulfill our own vision for being able to get healthy local food into a greater area. Common Market’s model is also a boon to the institutions it serves. In addition to stable prices, organizations looking to provide better-quality food can find themselves struggling to source it. Shelley Chamberlain, a registered dietician who retired from Thomas Jefferson University Hospital in Philadelphia as its director of retail operations, helped craft a partnership with Common Market. 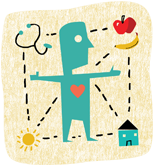 The university had signed the Healthy Food in Health Care Pledge in 2007, and was looking at holistic ways to improve care for patients. Initially it pushed its vendors to increase provisions of local fruits and vegetables, but sometimes the produce still came from as far away as California. As the hospital began relying on seasonal produce, it posted signs listing the sources for the food it was serving. Dishes with trans fats and heavy sodium were replaced by roasted vegetables and meatless Mondays. Common Market in Philadelphia is paying for itself, which proved to Kresge that it had a model that could work elsewhere. In fact, the Johnstons hope Kresge’s grant helps them build capacity to implement their model in other regions around the country. “One of the things we’re trying to demonstrate is how we can document daily consumption of fruits and vegetables in people who have access to our product,” Haile Johnston says. “We know that if people consume more fruits and vegetables, their incidence of chronic disease is lower. We’re looking at, especially in the institutional context, the regional economic impact of changing from non-source-identified, opaque procurement to local-source-identified procurement and the impact on local economies. For individuals at high risk of developing type 2 diabetes, making all of the dietary, fitness and lifestyle changes necessary to achieve and maintain good health can be daunting. Omada Health Inc., a San Francisco, Calif.-based provider of digitally based therapeutic programs to help individuals reduce their risks for chronic diseases, has an innovative tool that helps. Omada’s first online lifestyle intervention is called Prevent. It’s based on a successful national diabetes prevention program that has reduced the risk of developing type 2 diabetes among those with pre-diabetes by 58 percent over three years. Prevent helps individuals reduce their risk for chronic diseases such as diabetes and heart disease by combining smart technology like a wireless scale pre-synced to a participant’s account, for example, with health-related curriculum, on-demand access to a personal health coach and an online peer support network. More than 50,000 people have used the program, with results demonstrating that this virtual intervention works as well as in-person prevention programs. Omada first marketed Prevent through private insurance providers to help reduce health care costs for their members. Eventually, Omada turned to social investors like Kresge when it became clear that lower-income people, many lacking insurance or regular access to comprehensive care, could benefit from the program. That’s especially true as the risk for diabetes is disproportionately higher among low-income populations and Medicaid recipients. Because Omada is a for-profit company with a steady income stream, Kresge determined that a social venture investment offering a modest financial return was a smart fit. So the foundation worked with the California Health Care Foundation, each contributing $500,000, to provide a $1 million low-interest loan to Omada that would extend Prevent’s reach and increase access among patients served by the safety net. This investment is part of Partnering for Impact, a joint initiative of the two foundations. Omada recently launched a year-long pilot and clinical trial in three medical facilities serving uninsured and Medicaid patients with pre-diabetes. Up to 300 participants are receiving access to self-paced weekly lessons offered in English and Spanish that focus on such topics as nutrition, exercise and changing habits. They are also placed in groups of eight to 18 peers who interact online to provide support, ask questions and share resources. A trained health coach is available around the clock via text, email and phone and regularly checks in with individual participants. Kresge invested in Omada Health Inc. as part of a collaboration with the California Health Care Foundation (CHCF). The two pooled resources to create a venture fund called Partnering for Impact. Their goal: to increase the capacity of community health centers and other safety-net organizations by making early-stage investments in technologies and companies that have the potential to improve health care access, efficiency and patient experiences. In 2014, CHCF introduced Kresge to Omada, giving Kresge the opportunity to learn more about the company and its mission. Later that year, the two foundations each provided a five-year $500,000 loan so Omada could further develop and make its diabetes prevention platform, Prevent, available to low-income patients. In 2015, Omada hired a licensed clinical social worker to manage the deployment of Prevent in underserved communities. In early 2016, Omada began a clinical trial of Prevent in three health care organizations serving Medicaid and uninsured patients. CHCF and Kresge also contributed grant dollars to support a third-party evaluation of the effectiveness of Prevent among these populations. The company’s goal is to demonstrate the financial viability of implementing Prevent in underserved markets — in part through the significant cost savings resulting from prevention versus treating chronic diseases — while also achieving beneficial health outcomes for participants. Between commercial clients and the safety-net pilot, Omada expects to have a large enough data set within three years to make the case for Medicaid funding of Prevent. Kresge’s Human Services team thinks a lot about “expanding opportunity for low-income people in America’s cities.” Our grantees in the human services field have seen the pathways to opportunity become more challenging. Over the last 40 years, opportunity has stalled, with the greatest impact on both the working class and those living in poverty. The changed opportunity landscape means that despite personal drive, determination and talents, a high-performing child living in a low socioeconomic status will fare worse than a low-performing child from a high socioeconomic status when it comes to college completion. This means that where you live can determine whether you have a chance to move up the ladder of opportunity. Human services organizations have also encountered increasingly greater challenges over the last decades. Beyond the growing inequality of opportunity, these organizations have had to adjust to the changing face of America, which is rapidly diversifying. At the same time, government funding for safety net programs has not fully recovered from the Great Recession. Despite these challenges, many human services organizations have been able to creatively approach their missions. In 2015, we increased our focus on these innovative organizations — the ones who are changing the game when it comes to human services. We’ve worked with traditional organizations implementing out-of-the-box strategies, such as Crittenton Women’s Union in Boston. We’ve also supported nonprofits that operate nontraditionally, such as Community Solutions, which functions in cities across the country. These bright spots represent the next generation of human services organizations. By combining the forces of strategic grant making with our expanded social investment toolbox, our program seeks to support these organizations’ work in a way that creates more opportunity for vulnerable populations. We identify and fund creative solutions that can be scaled and replicated for maximum impact, ultimately bringing vulnerable people into the economic mainstream. These next-generation human services organizations are teaching our program team about what is possible when innovation is embraced. To solve the opportunity problem, human services organizations must shift their focus from pure transactional delivery of services and instead engage in a multisector, multidisciplinary and multilevel approach to bring people out of poverty. By adapting their modus operandi, human services organizations can rebuild an ecosystem of opportunity that offers people living in poverty the essential supports required to achieve well-being and lead self-sufficient, self-determined and productive lives. The Kresge Human Services team is eager to support this transformation. Almost five years ago, LaShauna* lived in subsidized housing in the Roxbury Section of Boston, Mass., with her three children. As a single mother, she couldn’t work, go to college and take care of her kids at the same time. She was on the edge of poverty with seemingly no way to stabilize her life. On a train, LaShauna found a flyer about Crittenton Women’s Union. 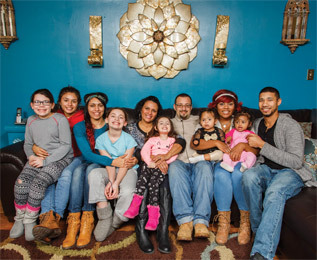 A Boston nonprofit dedicated to breaking the cycle of poverty, the organization offers a new and cutting-edge Career Family Opportunity program built around intense mentoring and coaching designed to help single parents organize their lives and move from poverty to self-sufficiency. With the aid of her mentors at Crittenton, LaShauna embarked on a customized five-year plan. Along the way, she learned to set goals, prioritize and make progress. President and CEO Dr. Elisabeth Babcock describes Crittenton as “an economic mobility action tank” dedicated to helping low-income women and their families reach economic independence. The organization will soon expand its services beyond Boston with the support of a $400,000 grant from the Kresge Human Services Program. 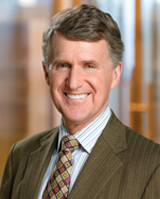 “In addition to serving 1,400 clients a year with transitional housing, job readiness training, parenting and other programs, we also do research and development designed to create new programmatic pathways out of poverty and use our applied learning to make backward change through public policy and new approaches to inform the field,” Babcock says. Each person who enters Crittenton’s Career Family Opportunity program is evaluated based on individual circumstances and assigned a mentor who provides coaching through what Babcock says are “pillars” on the bridge to success. Those include family stability, well-being, money management, education and career path. The mentor helps participants steer through bureaucratic mazes and makes referrals to social services specialists in the same way a primary care physician might send a patient to medical specialists. Because some single parents lack family or community support, Crittenton encourages single moms to connect with others in similar circumstances. At any given time, Crittenton might be counseling 400 people. Some newcomers may need “a lot of support — three or four times a week,” says Sarah Bellemore, a Career Family Opportunity program coordinator. Others might check in by phone weekly. Since the program started in 2009, 98 percent of those enrolled have stayed with it. In addition, 71 percent of participants have experienced income gains and 83 percent have earned college degrees. Bellemore says the program matches participants’ savings at a rate of two-to-one. A single parent who saves $4,000 over five years would exit the program with $12,000. That incentive alone is enough to help participants come on board and stay the course — even those like Pam*, who are intimidated or doubtful that they have it in them to make it through. As for LaShauna, she now has a college degree and a job to support her family. She has saved for a down payment on a house. One of the program’s objectives is that each participant have $10,000 in the bank by the conclusion of the five-year program. She is also working toward a master’s degree in business administration. With successes like that, Crittenton Women’s Union is a model for the type of change that Kresge’s Human Services grant-making program area aims to effect. All of Kresge’s program teams actively seek to support innovation in their respective fields, and to use all of the tools of philanthropy as they do, Fukuzawa says. “In Human Services, for example, this means being more influential on policy and regulatory changes that can improve the delivery of services and create more flexible environments and institutions to help individuals with low incomes thrive,” he explains. That coincides with what Fukuzawa says has been dramatic change in the human services sector in recent years. As Fukuzawa explains it, people living in poverty or close to it often find that one problem cascades upon another to create a situation that is worse than the sum of its parts. “Their car breaks down. They can’t get to work. They lose their job. They lose their home,” Fukuzawa says. “That’s what happens to a lot of good people. “They get sick. Or their child gets asthma because they’re living in a terrible, drafty, moldy old house. And they can’t get to work because the kid can’t breathe or has to go to the hospital. They can’t pay the medical bills. They go broke. All of those things are the ongoing reality of many people who are at the edge. And having to rely on social support is not easy, Babcock says. “The pathway to family economic stability has drastically changed over the past 25 years,” she says. “In past generations, unskilled workers willing to work hard could often obtain jobs that paid solid wages, but the labor market has become increasingly bifurcated. Almost all jobs that pay families sustaining wages now require postsecondary education, and the increased competition for unskilled jobs left at the bottom of the wage scale are driving those wages further down. Traditionally, human services organizations have focused on addressing immediate needs, such as shelter, clothing and food. What appeals to Kresge about Crittenton is how it goes beyond the basics, with the goal to bring people out of the poverty cycle — for good. As one of the largest providers of services to homeless families in Massachusetts, Crittenton operates a supportive housing program for 400 formerly homeless single-parent families in addition to its other services. Because of its successes, Crittenton was selected by the U.S. Department of Housing and Urban Development to pilot a 1,000-family, five-year randomized control trial of how it delivers services. It’s also the backbone entity for two national learning communities — one focused on improving economic mobility and the other on outcome evaluation. “Crittenton Women’s Union is a national leader in advancing strategies that support women with low incomes and their children as they move to economic independence and well-being,” Fukuzawa says. One of them is Charell*, who worked with a Crittenton mentor to focus on school and career. She’s since become a certified paralegal. Another is Mary Jane*, who turned to Crittenton Women’s Union after the economy crashed in 2008. Until then, she lived paycheck to paycheck, working one or two jobs to make ends meet. Then she got laid off, and she and her eight-month-old son became homeless. With Crittenton’s assistance, Mary Jane moved into an apartment, applied to college and secured financial aid to study medical information management. Single mother of four Ebonee Scott was out of work. Unable to find a job that would pay enough for her family to live on, she moved in with her mother. Then she saw an opening for a position at Goodwill Industries of the Southern Rivers in Columbus, Ga. She was hired and eventually promoted. Now she’s retail store manager in Albany, Ga.
At the 165 Goodwill organizations across the country, more than 100,000 employees like Scott develop skills while earning a living wage with a full package of benefits. But Goodwill leaders saw a need to do more. By expanding their retail presence, they could invest more deeply in creating new jobs and providing supportive services for people with disabilities and economic disadvantages in their communities. Those store leaders went to Goodwill Industries Inc., the stores’ umbrella organization, for help getting investments. Goodwill in turn connected with Kresge. The foundation’s Human Services Program authorized a planning grant of $150,000 in 2012 so Goodwill could assess how it could pull together a pilot fund to invest in its member organizations. When the evaluation was complete, the foundation made a low-interest $3.3 million loan in 2013 through its Social Investment Practice. Combined with investments from the Annie E. Casey Foundation and the Ford Foundation, the pilot fund totaling $10 million launched Goodwill Mission and Job Creation Services Inc.
With the long-term financing and a low 2 percent interest rate, Goodwill had the capital and flexibility it needed to expand the retail operations that support its social enterprises, employment and job training activities. The idea was to foster job creation in a few areas, see how it worked and if successful, replicate it in other stores around the country. At the end of 2015, the program was responsible for creating 581 Goodwill job openings, including 70 in management. The program also supported more than 6,100 community job placements. With an average hourly wage of $11.79 and typical work week of 34 hours, those employees combined earned more than $95 million. The funds also provided more than $400,000 in emergency loans to Goodwill employees, who are current in their payments. One of those Goodwill helped find work was Tonya Jones, who survived vocal cord cancer when she was 25. Having retired, Jones was attempting to reenter the workforce and realized her altered voice was hindering her search. She turned to Goodwill for help. Goodwill coached her and sent her notices for job fairs and openings. The Kresge Foundation’s $3.3 million loan to Goodwill Industries demonstrates that putting money in motion to effect societal change can benefit both funder and investee. Goodwill wanted to offer loans to its community-based stores to pave the way for expansion of local social services and employment opportunities. But there wasn’t always an available source of capital to fund it. The Kresge Foundation made it happen by starting with a grant from its Human Services Program, which has had a long relationship with Goodwill. Kresge’s Social Investment Practice stepped up next with a six-year loan at an interest rate of 2 percent. That was combined with investments from the Annie E. Casey Foundation and the Ford Foundation. 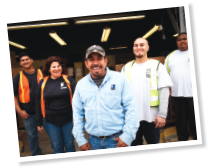 In 2011, Goodwill Industries was exploring ways to accelerate the funding available to local Goodwills in the business of growing social enterprise revenue and creating jobs. That was prompted by the development of a new strategic focus at Goodwill to expand capital sources. A year later, Kresge supported Goodwill with a $150,000 planning grant through its Human Services Program to research capital aggregation strategies and the feasibility of a loan fund. In 2013, Kresge’s Social Investment Practice gave Goodwill a low-interest $3.3 million loan. Kresge was one of three program-related investors in the initial $10 million loan fund. then every problem looks like a nail. At The Kresge Foundation, being open to new ideas and new ways of doing things is essential to our underlying philosophy to expand opportunities for low-income people in America's cities. When Sebastian S. Kresge established the foundation in 1924, it was with a basic mission: to promote human progress. More than 90 years later, interpreting this maxim remains the responsibility of my fellow trustees and the Kresge staff as we attempt to address the systemic urban issues that affect people living in the United States. Private philanthropy has continually struggled to balance the impulse toward reflection with the realization that what's happening on the ground requires bold action and direct engagement. That balancing is necessary and appropriate. Without thinking long term, there is little integrative problem solving. But not heeding the drumbeat of today's urgency brings overly tentative leadership and risk aversion. Our primary investment objective is to preserve and grow our endowment by at least 5.5 percent plus inflation over the long term. We accomplish this by making strategic investments that generate returns in excess of inflation and our annual grant, social investment and administrative spending. In 2015, the Board of Trustees approved 370 grants totaling $125.2 million. In addition, we made nine social investment commitments totaling $20.3 million to organizations whose efforts support our goals through program-related investments. For the five years ending Dec. 31, 2015, the endowment has returned 8.7 percent annually. Despite the tumultuous global market, we earned 3.4 percent in 2015. We also made 9 new commitments through our Social Investment Practice in 2015 totaling $20.3 million. Kresge's Social Investment Practice works alongside the foundation's program teams to fund projects that drive social change. Camden, N.J., was once a thriving industrial hub. After the factories that dotted the waterfront began to close in the 1950s and in subsequent decades, vacant and contaminated lands remained. In 1984, the owners of those properties came together to form what would become the Cooper's Ferry Partnership. The goal? To find new purpose for abandoned and underutilized property and make Camden into a place people want to live, work, visit and invest. The Kresge Foundation's Arts & Culture team is supporting this ambitious work. Artspace Projects Inc. is a leading developer of affordable live-work spaces for artists with 40 locations across the United States, and 15 more under development. Artspace has been partnering with The Kresge Foundation's Arts & Culture Program on projects for more than 20 years. That relationship took a new turn in 2011, when Kresge's Social Investment Practice structured a deal to provide Artspace with a $1 million unfunded guarantee that made it possible for two new projects to move forward. The Northwest Detroit, Mich, neighborhood near the intersection of Livernois Avenue and Six Mile Road was once a vibrant place. In 2015, The Kresge Foundation joined other funders in an effort to start briniging the neighborhodd back. The Live6 Alliance is a new community development organization aimed at revitalizing Six Mile between Marygrove College and the University of Detroit Mercy, as well as the stretch of Livernois running roughly from Six Mile to the shopping district a mile north at Seven Mile Road. The Kresge Foundation provided a $5 million low-interest loan to help roll out the Woodward Corridor Investment Fund. The $30 million initiative offers long-term, fixed-rate loans for multifamily and mixed-use developments in Detroit's Midtown area. The Kresge Foundation has invested more than $3.5 million in the Kresge Arts in Detroit initiative, which continues to influence the metropolitan region's creative economy with its Artist Fellowships and Eminent Artist awards to artists living and working in Wayne, Oakland and Macomb counties. 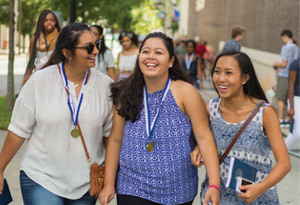 Georgia State University in Atlanta, Ga., has emerged as a national leader when it comes to student success. The Kresge Foundation is supporting GSU in its efforts to boost enrollment and graduation rates among minority and low-income students. In 2015, the 30,000-student university received a Kresge grant that will allow it to expand its Summer Success Academy, a program for incoming freshmen who might otherwise struggle in college or skip it altogether. The program is one piece of GSU's broad strategy to eliminate barriers to a college education. In 2015, Kresge's Social Investment Practice partnered with its Education Program to make a low-interest loan to the Council for Adult and Experiential Learning (CAEL). The loan helped to fund the expansion of CAEL's online Prior Learning Assessment platform, called LearningCounts.org, which enables adult students to document their work experience and knowledge. College credit is awarded when students can demonstrate a level of comprehension or skill equivalent to what they would have learned in a college course. RePower LA is addressing climate resilience in Los Angeles through adaptation and mitigation strategies that create skilled jobs for low-income residents. On the opposite coast, another Kresge grant recipient — the Alliance for a Greater New York— is working to reduce that city's contribution of heat-trapping emissions, prepare for the impacts of climate change and ensure that the city prioritizes low-income, climate-vulnerable communities in its work. Conserving energy is not just good for the environment. It saves money. Kresge's Health Program is focused on creating conditions that promote healthy communities. A Kresge Health Program grantee, Common Market, is bringing healthy food to communities that need it most. The Philadelphia, Pa.-based nonprofit organization works to provide healthy, nutritious food to local residents, especially those from low-income communities. 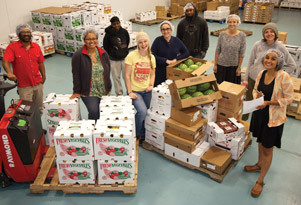 Common Market facilitates connecting wholesale customers like schools, hospitals, grocers and workplaces with farmers in New Jersey, Pennsylvania and Delaware. For individuals at high risk of developing type 2 diabetes, making all of the dietary, fitness and lifestyle changes necessary to achieve and maintain good health can be daunting. Kresge social investee Omada Health Inc. is helping individuals reduce their risks for chronic diseases with an innovative tool. The online lifestyle intervention product, called Prevent, is based on a successful national diabetes prevention program that has significantly reduced the risk of developing type 2 diabetes among those who are pre-diabetic. Crittenton Women's Union is dedicated to helping low-income women and their families reach economic independence. The organization will soon expand its services beyond its base in Boston with the support of a $400,000 grant from the Kresge Human Services Program. At the 165 Goodwill organizations across the country, more than 100,000 employees develop skills while earning a living wage with a full package of benefits. But Goodwill leaders saw a need to do more. By expanding their retail presence, they could invest more deeply in creating new jobs and providing supportive services for people with disabilities and economic disadvantages in their communities. A planning grant from Kresge's Human Services Program and a subsequent low-interest loan through Kresge's Social Investment Practice helped launch Goodwill Mission and Job Creation Services Inc.